SAN TAN VALLEY — Police are investigating a suspected murder and suicide, in which 30-year-old Stuart Milne allegedly shot to death his live-in girlfriend and ended his own life as the police were negotiating with him. At about 10:30 p.m. Friday, the Goodyear Police Department contacted the Apache Junction Police Department, requesting assistance in locating Milne, who was possibly suicidal. Goodyear police believed that Milne was possibly armed and had made some alarming statements about his girlfriend, Natasha Arredondo, according to police statements. Apache Junction police spotted Milne’s car and pulled him over. During the traffic stop, Milne allegedly refused to show his right hand. Officers then heard one shot, fired by Milne inside the vehicle. Officers approached his car and found Milne had a self-inflicted gunshot to the head. He was pronounced dead on the scene. A Goodyear police officer was on the phone with Milne as the Apache Junction Police were stopping him, said a police statement. Milne was making suicidal statements, telling the negotiator he had done something really bad and needed to have retribution for what he had done. 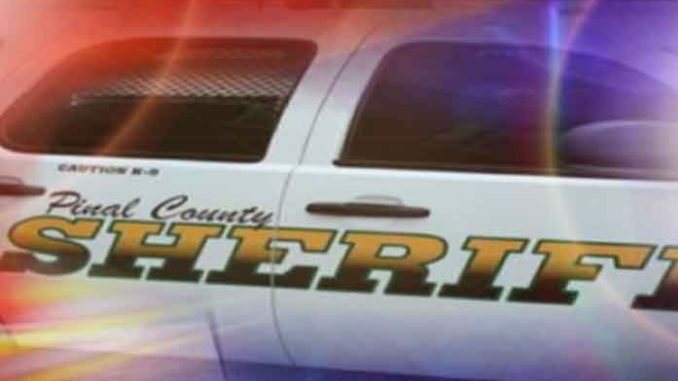 Family members of Arredondo had reported her as missing from her residence to the Pinal County Sheriff’s Office, after her juvenile son was found to be home alone. Milne and Arredondo were last seen together at their San Tan Valley home. Circumstances surrounding the death of Natasha Arredondo of San Tan Valley are under investigation by the Pinal County Sheriff’s Office and the Apache Junction Police Department.